I don’t usually write personal posts about my writing. But I’ve been thinking a lot about something recently and wanted to share, because I think the issue I’ve been having is one a lot of people run into. I’ve reached an odd place in my writing. For the first time ever, I’ve finished a manuscript and don’t have a new one to move onto. This has never happened before; I’ve always had a new story brewing at the back of my mind, ready to grab my attention the moment I finish a current project. At the same time, the sensible part of me knows I literally just finished that third manuscript, and anything could yet happen with it. It’s not like I’ve spent years failing to come up with a new story idea. I do have ideas, in fact, just none that I’m passionate enough about right now. And it would be a tragedy to quit after all these years of effort. It sounds so obvious now I’ve written it down. 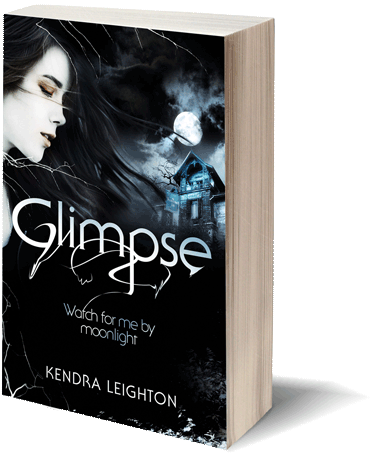 But when I think about it, this will be the first time I’ve needed to start a new novel since Glimpse was published. All my other books were planned, or even drafted, back when I was most excited about my writing and thought anything could happen. Since then my expectations have changed and I’ve let myself get scared. This was a revelation to me. 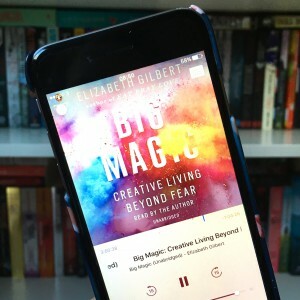 So I downloaded Big Magic on audio book to see what else it could teach me. 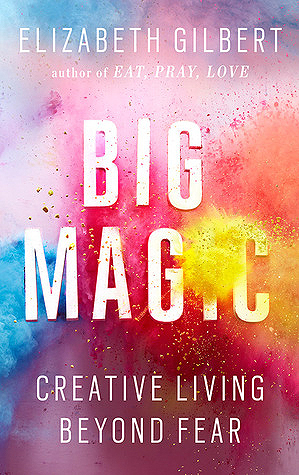 If you’ve ever had “what’s the point?” thoughts about writing or some other creative pursuit, Big Magic is a book I wholeheartedly recommend. Perhaps the best way to explain is to share some of the points I took away from it. What you write is not a consecrated relic. Finish it, then move on with no expectations. Liberate yourself. You don’t need to suffer for writing. In fact, you shouldn’t. Enjoy writing. Complaining only scares off inspiration. You are not required to save the world with your writing. Write for you. What you write doesn’t have to be important. It’s being creative that’s important. Don’t worry that all ideas have already been done. They have, but not by you. Authenticity is more important than originality. Your only task is to create. You have no responsibility over how your writing is received, and that doesn’t matter anyway. Being creative is not a big deal. Children create freely without worrying how good their stories are or what other people will think. It’s natural to be scared when writing. Fear of the unknown is natural. All good ideas are daunting at first. Perfectionism is just the fear of not being good enough. Don’t define success as public success. What becomes publicly successful is somewhat random. Hard work doesn’t have to equal fame. What you practice, you inevitably improve at. In Big Magic, Elizabeth Gilbert also expresses a lot of spiritual thoughts about creativity, which didn’t always resonate with me as much. But I enjoyed hearing her ideas, and her book is such a goldmine of comforting advice that I’d recommend picking it up even if you’re a spiritual sceptic. After reading it, I’m feeling more relaxed about writing again, and know that I will write a fourth book. And that is huge for me right now. Have you ever experienced something similar? Or have you read Big Magic? I’d love to know your thoughts!